John was buried on 1 June 1921 in the Rookwood Cemetery, Rookwood, New South Wales, Australia . 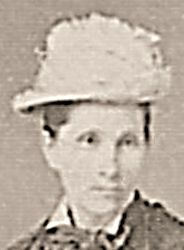 Agnes McCulloch Fairlie was born on 8 June 1838 in Kirkmichael, Ayrshire, Scotland , daughter of John Fairlie and Isabella Hamilton. After his marriage, Henry dropped the "K" from his surname and was known as Henry Picard.